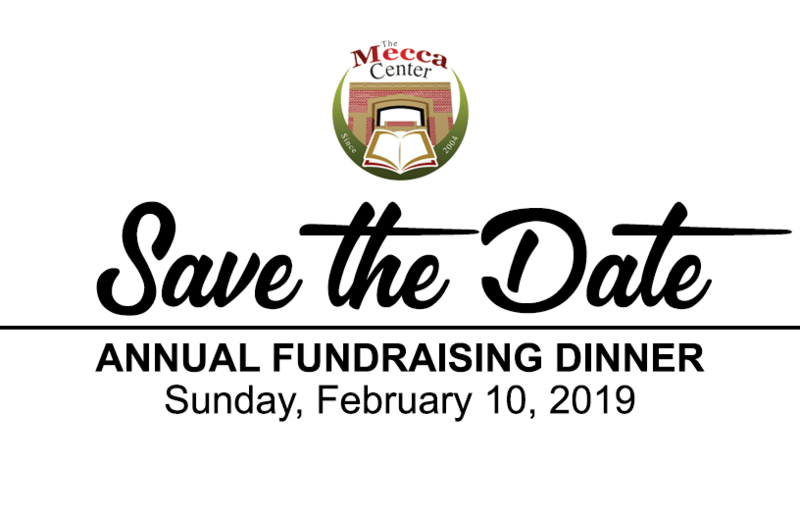 The Mecca Center will hold its Annual Fundraiser on Sunday, February 10, 2019. Please save the date and join us for this important community event! More details to follow.